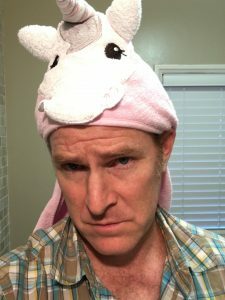 Hi, I’m Jamie Kaler, founder of The DadLands. Welcome and thanks for stopping by! So, what is The DadLands? Think of it as your “Man Cave” away from your “Man Cave.” It’s a digital destination for dads everywhere to feel part of a community that not only helps and uplifts, but entertains. Okay, that was idiotic. Everything is different now. Nothing is about us anymore. It’s all about them. And honestly, it feels really good. My kids have opened up emotions in me that I didn’t know existed. Yes, I cry uncontrollably at Lowe’s commercials. And sure, I definitely say “I love you” way too much, but it feels really good, doesn’t it? My carefree life has been replaced by a series of panic attacks. From “uh oh, that didn’t sound good” to “well, I guess it’s back to the emergency room” – every day is stressful. But at least now I have a purpose, and it’s very simple: to raise these kids the best way I can and be the type of father who holds his head high with pride. Now I have a purpose, and it’s very simple: to raise these kids the best way I can and be the type of father who holds his head high with pride. I don’t know about you, but the second I think I have this thing figured out, it all changes. And that’s why I started The DadLands – so that maybe together we can help each other by sharing our experiences here in this group. P.S. Moms are welcome too! Get a peak into our heads, we’ve got nothing to hide (but plenty to be embarrassed about). Feel free to laugh and commiserate with our pain. WANT TO CONTRIBUTE TO THE DADLANDS? Any and all questions, comments, and submissions are encouraged. 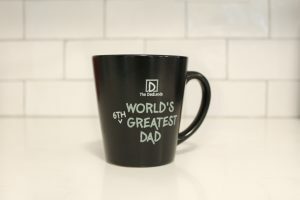 Let’s use our combined experience to become “The World’s Greatest Dad” together. We’ll share as much content as we can from as many dads as we can. Give everyone a chance to be heard and hopefully learn as much as we laugh! All are welcome. Be cool, be accepting, be clean, and have fun. If you don’t know my story, I’m a late-in-life father who was pretty content to never have kids. I was an actor and comic (My Boys, Friends, Will and Grace, How I Met Your Mother, NCIS) with a bank full of money who ate out every night, slept in every morning, and saw movies on the day they opened. Now, I’m an actor with two kids, a serious need for more money, who never eats out, and sees movies when they make it to Netflix. And the truth is… I couldn’t be happier. I have trouble imagining my life without my two little girls and I want to make sure I raise them in the right way. The same as you. Check out Jamie Kaler’s acting, hosting, and standup reels on The DadLands!